Costco Wholesale Corporation (trading as Costco) is the largest American membership-only warehouse club. It has been aggressively infiltrating global markets with retail innovation practices that have created a cult-like consumer following characterized as "The Costco Craze." Costco's global expansion frenzy began in 2013 and includes more than 200 international Costco Warehouse locations operating in ten countries outside the U.S.
By August 2018, Costco Wholesale had 761 warehouses worldwide with over 200 warehouse stores outside the U.S. These included 100 locations in Canada (in nine provinces), Mexico 39, United Kingdom 28, Japan 26, Taiwan 13, South Korea 14, Australia 10, Spain 2, Iceland 1, and France 1. With the globalization of the retail economy, it's easy for any of the largest U.S. retail companies with ambition and financial backing to open up shop in international markets. Consequently, barring an economy-busting international incident, there was little doubt Costco would achieve its aggressive international expansion goals. Will Costco's Counterintuitive Retailing Strategies Work Internationally? There was, however, a big question about whether the counterintuitively innovative Costco retailing strategies would create the same kind of fanatic Costco Craze outside U.S. borders. Target's exit from Canada in 2015, Tesco's complete shutdown of its U.S. Fresh and Easy chain, and Walmart's store closings in Brazil in 2016 serve as cautionary tales for global retailers. While any retail chain can bully its way into a global retail market, there's no guarantee the competition will be crushed under the weight of megachain size and annual income. In the age of empowered (and culturally loyal) customers, there's no such thing as "too big to fail." However, Costco seems to have succeeded in ways that Target, Walmart, and Tesco have failed. According to a Forbes report, Costco membership signups in the first 8 to 12 weeks of a new store opening overseas are generally 10 times greater, compared to Costco store openings. Additionally, the retention rate for annual memberships in international countries is very high, generally over 80 percent. What is Costco doing right when they enter foreign territory that other global retailers aren't? The answer lies, in part, in the CNBC documentary "The Costco Craze." It revealed information generally unknown to consumers such as how Costco's markup compares to other retailers, how Costco buyers pick toys, and how Costco's influence has changed wine marketing globally. Instead of asking, "How can we make the customer pay more for this?" Costco asks "Could this be less expensive for the customer?" These unorthodox strategies create two outcomes that any of the largest discount retailers in the world would like to have. First, the average ticket total for Costco customers is high because customers firmly believe they're saving more money by spending more money. Second, once into the more-is-better mindset, customers tend to make impulse purchases when they spot products they didn't expect to be available at a discount warehouse store. Also, Costco shoppers don't just buy a pack of gum on impulse, they buy 80" 3D televisions. The Costco Craze is not just a result of the American bigger-is-better psyche. 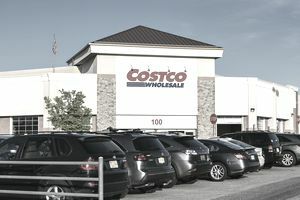 The Costco international stores in ten countries have proven that the Costco formula works just as well with consumers outside the U.S. And, unlike other U.S. retail chains that are opening international locations as a defensive strategy, Costco's international expansion isn't compensating for domestic weakness because currently, it has none.